Priced to sell!!! A great investment tucked away in a peaceful and private setting. This lakefront cabin offers 102 feet of water frontage. A paved walkway leads to the shoreline where you will find a stationary dock. The home features an open floor plan joining the living room and kitchen with an eat-at bar. The kitchen cabinets are solid wood with corion countertops. Hardwood floors and a stacked stone fireplace give the living room that perfect touch. From the living room double doors open to a covered deck that stretches across the back the home perfect for enjoying the outside. On the main level there is a bedroom with a full bath and upstairs there are two more spacious bedrooms and a second full bath. Each bathroom has tile flooring and wood cabinetry. There is room to expand downstairs in the full unfinished basement that is stubbed for a full bath. 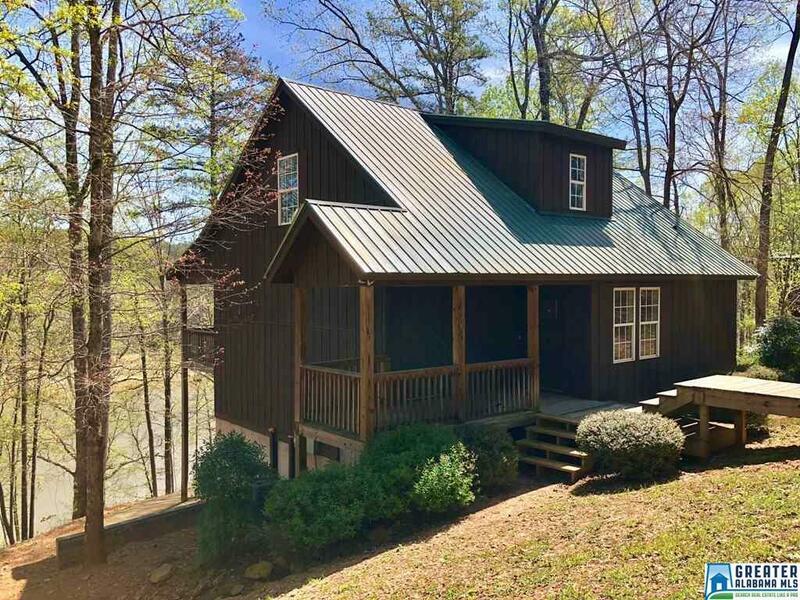 This home is located in the Cabin's at Lee's Bridge and offers paved roads and close proximity to the boat ramp.